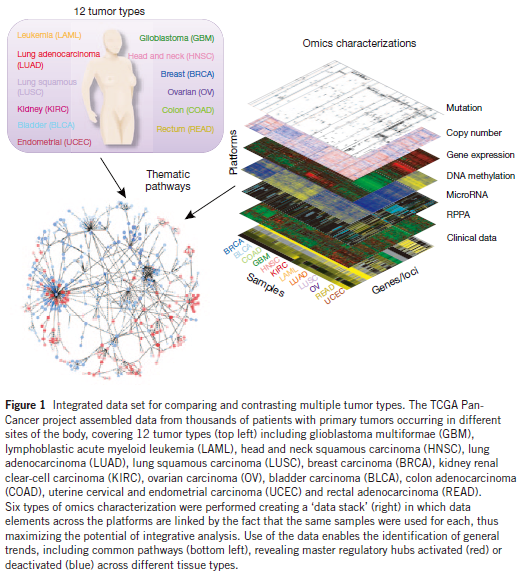 The resulting rich data provide a major opportunity to develop an integrated picture of commonalities, differences and emergent themes across tumor lineages. 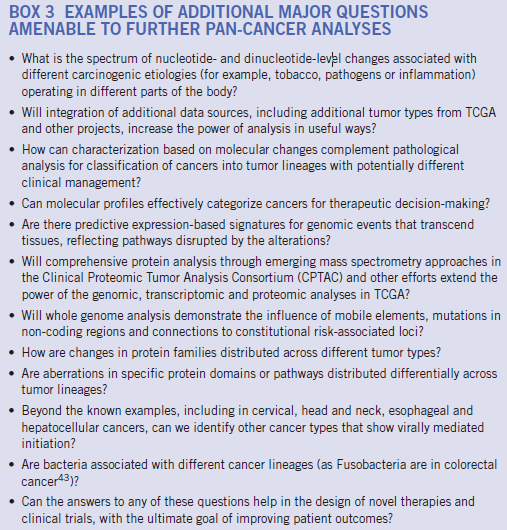 The use of large cohorts has enabled DNA sequencing to uncover a list of recurrent genomic aberrations (mutations, amplifications, deletions, translocations, fusions and other structural variants), both known and novel, as common events across tumor types. A prime example is provided by the NOTCH gene family, which is inactivated in some squamous cell cancers of the lung, head and neck, skin, and cervix but activated by mutation in leukemias. Importantly, integrative interpretation of the data will help identify how the consequences of mutations vary across tissues, with important therapeutic implications. 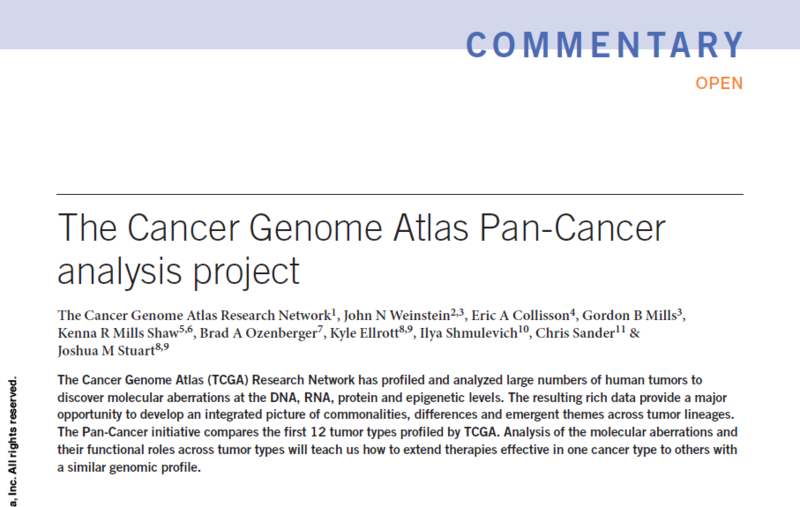 The goal of the Pan-Cancer project is to identify and analyze aberrations in the tumor genome and phenotype that define cancer lineages as well as to identify aberrations that transcend particular lineages. 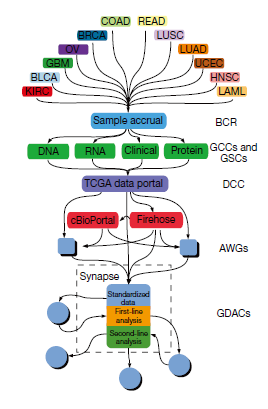 Analyses of the epigenome, transcriptome and proteome show a strong influence of tissue on the state of altered pathways in tumor cells. 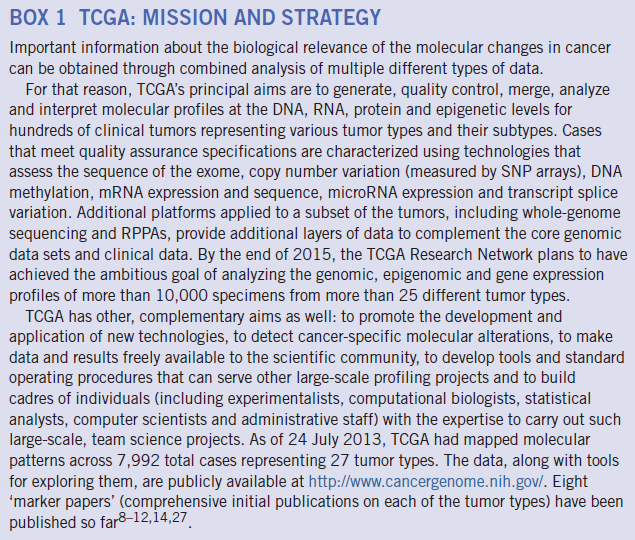 This expanded analysis will bring focus to disruptions in promoter and enhancer sites and aberrations in noncoding RNAs, as well as the genomic integration processes at work in tumor evolution that result from mobile endogenous and exogenous DNA elements such as retrotransposons and viruses.